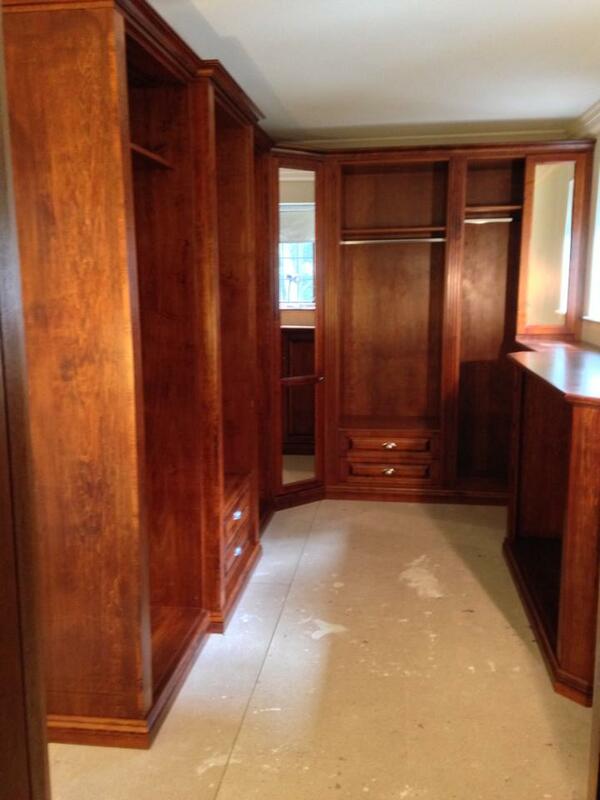 S & K Furniture By Design understands that everyone has different storage requirements unique just to you. Whether it is a fitted or a walk in wardrobe, our designers, with 25 years’ experience can provide a solution perfect for you. 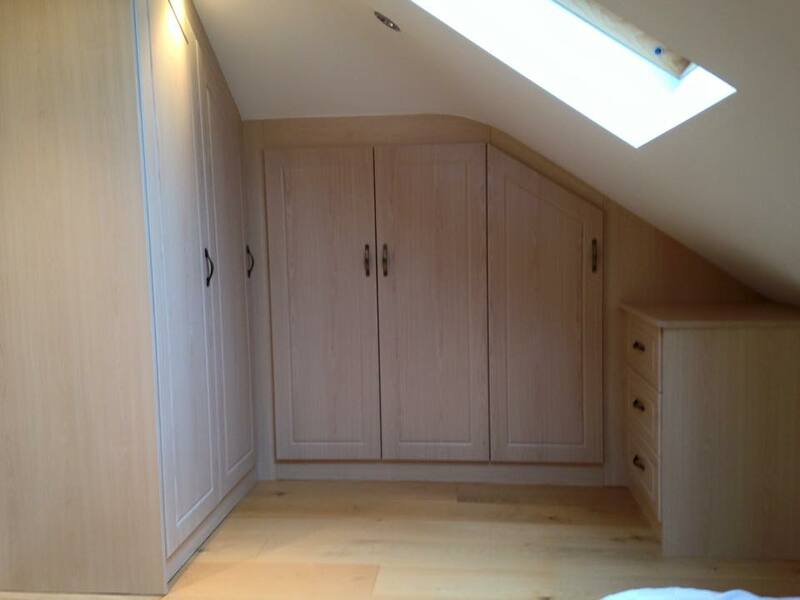 Keith & Mark personally take the job through from start to finish, ensuring your satifaction with the final product. 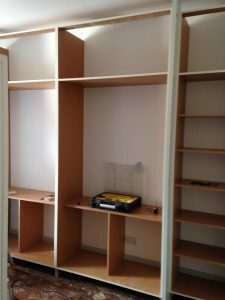 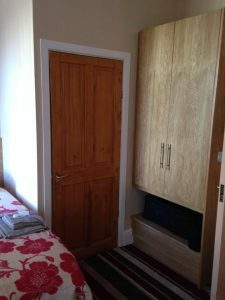 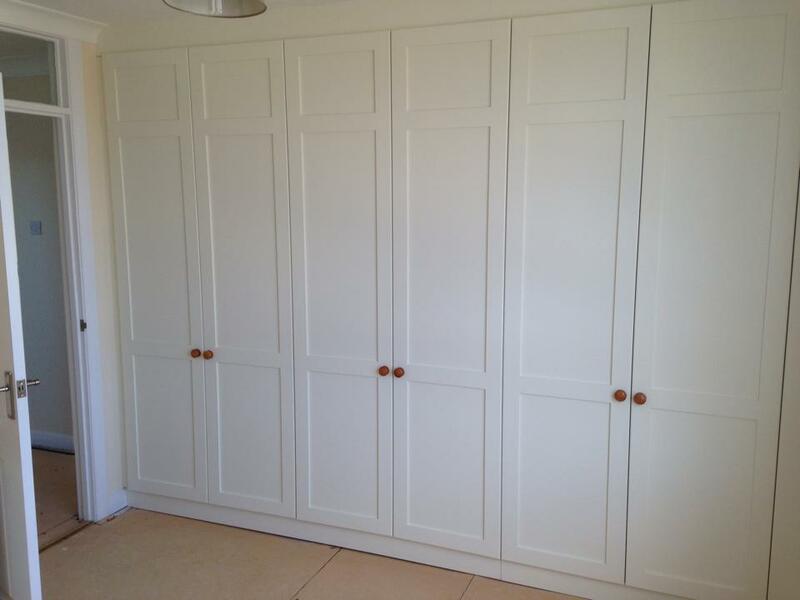 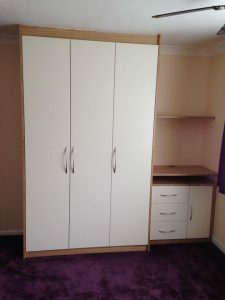 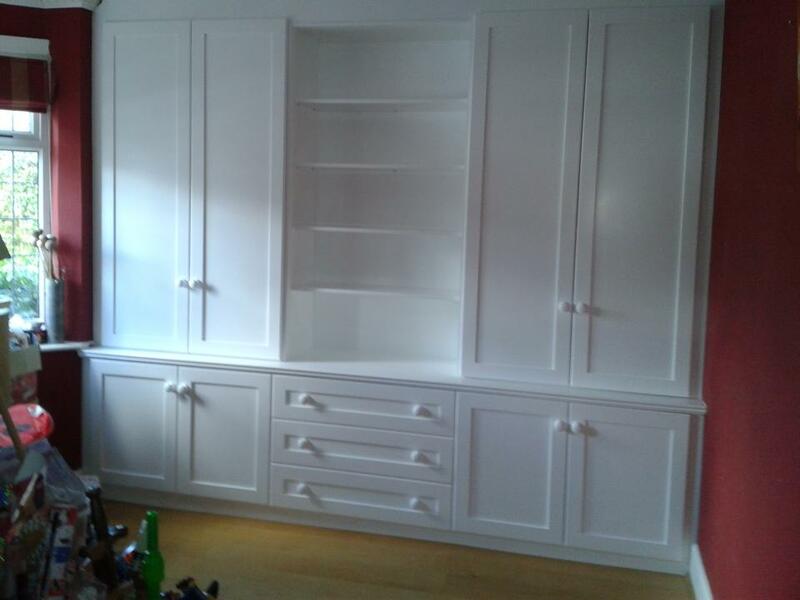 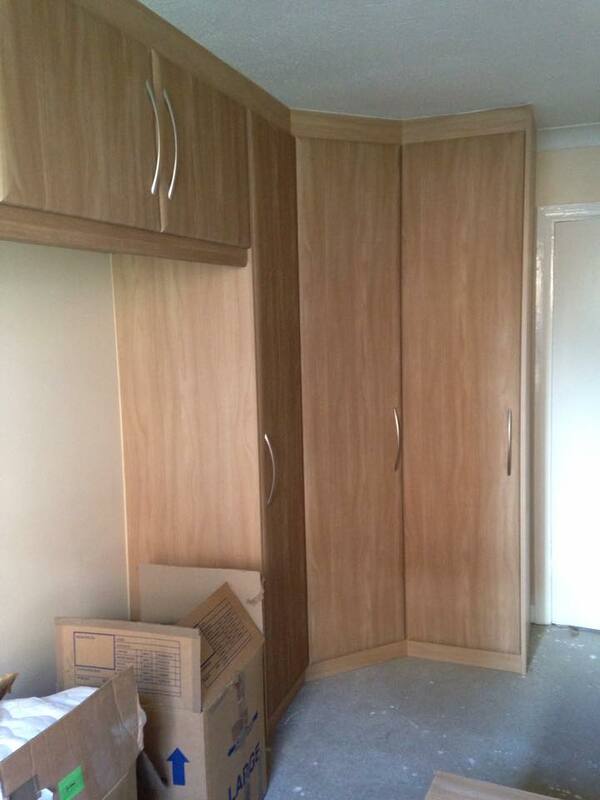 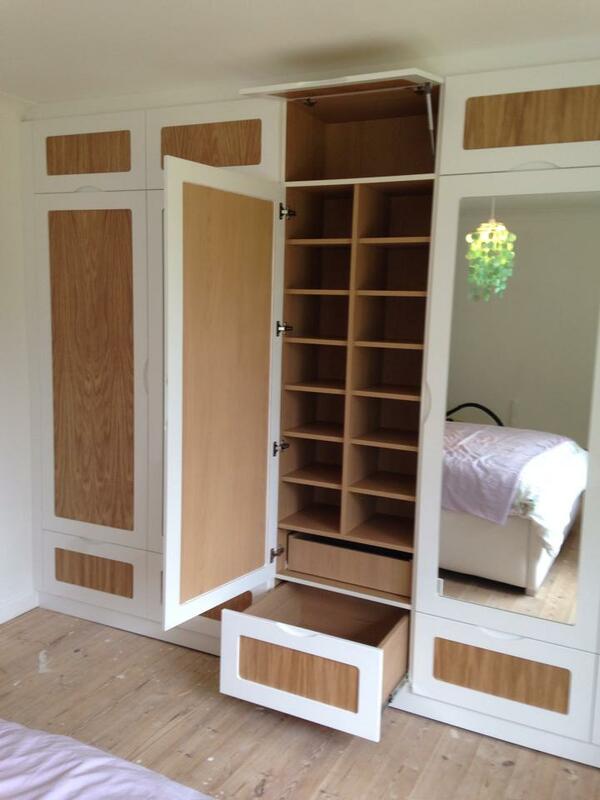 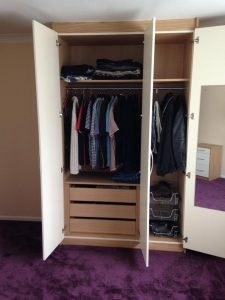 A built in wardrobe can give you so much more storage than a free standing unit without taking up any more space and due to our knowledge and ability we can create your perfect storage solution. 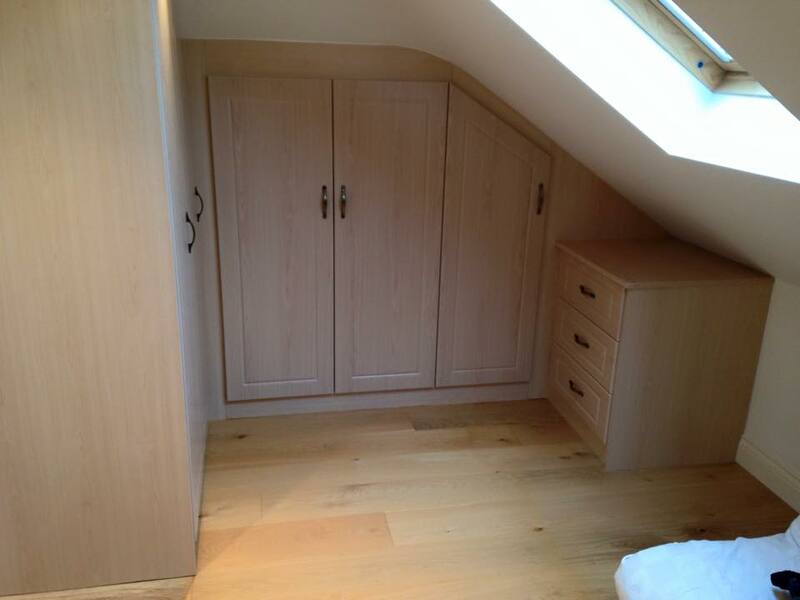 Even if your bedroom has low or sloping ceilings, unusual shaped alcoves or specific size constraints, we pride ourselves on utilising every millimetre of space available. 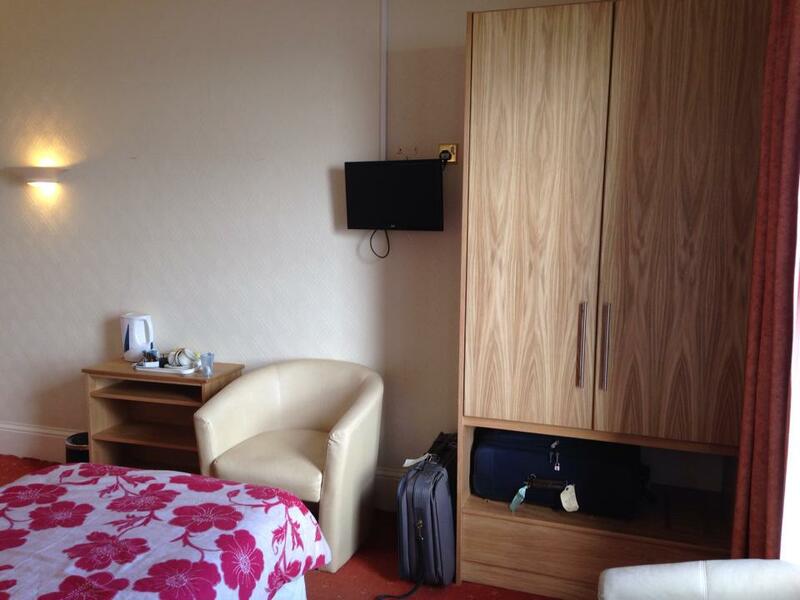 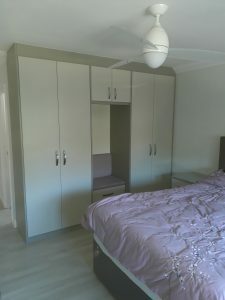 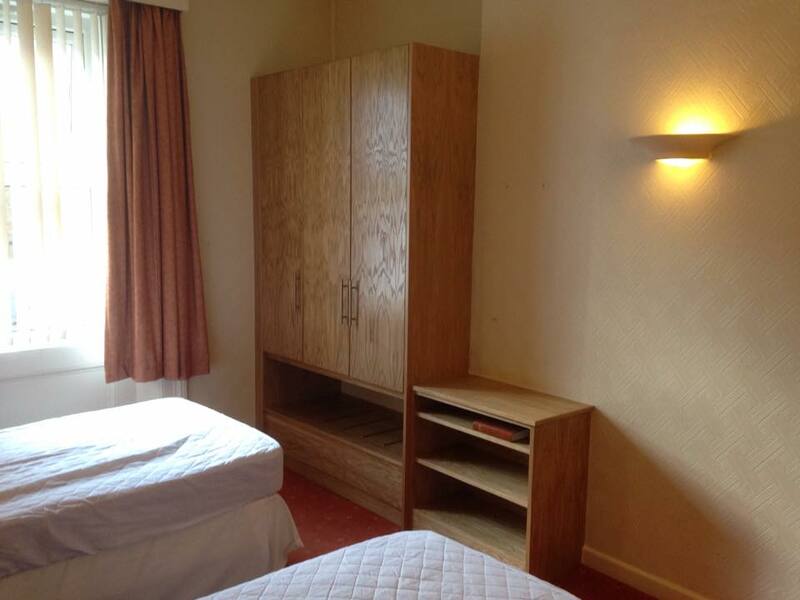 Every unit is individually manufactured meaning we build the furniture to fit around any existing features in the room. All our interiors are manufactured with 18mm MFC board as standard or if you prefer we can use satin lacquered wood veneer. 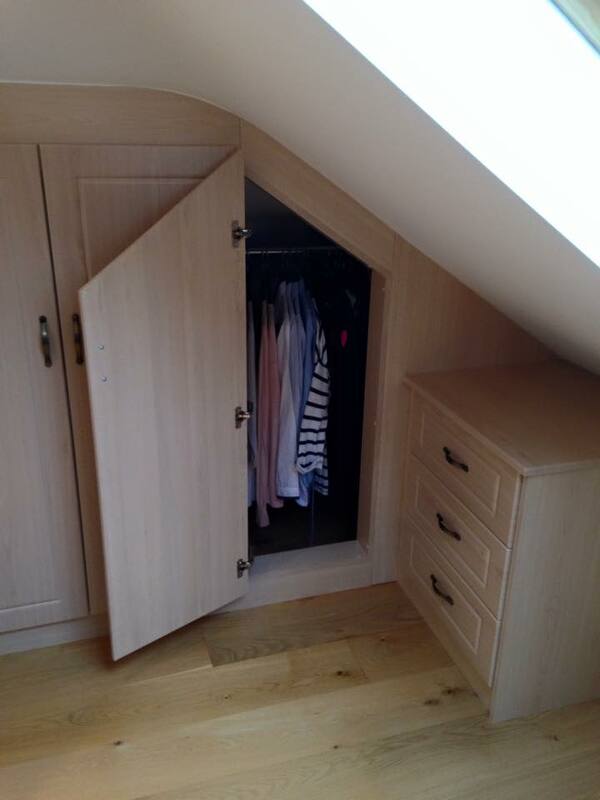 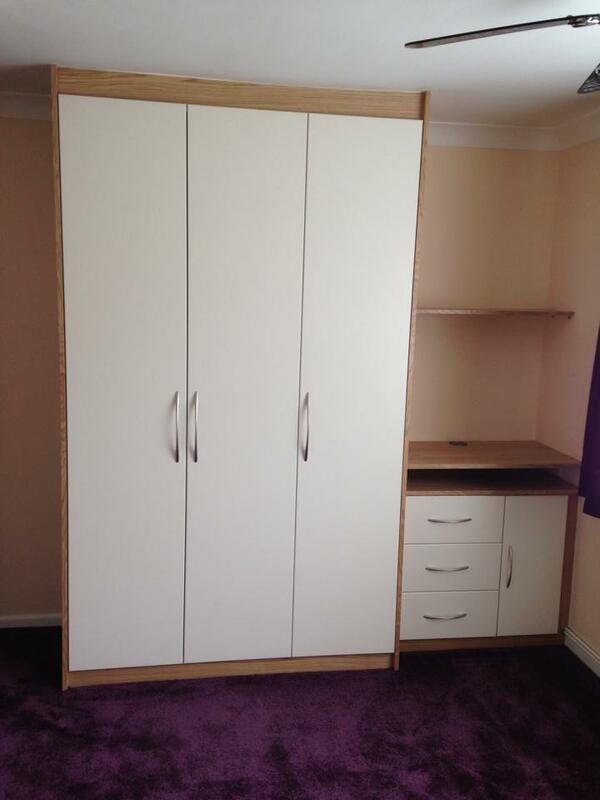 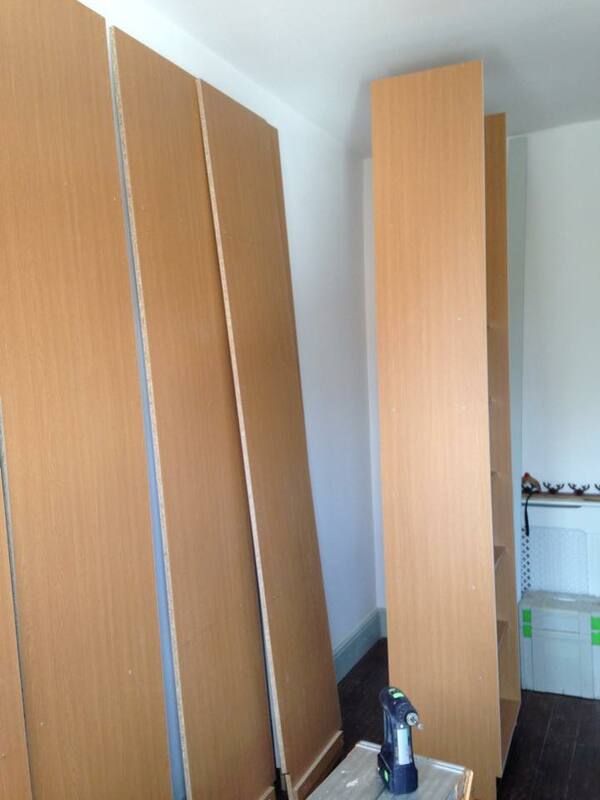 To guarantee our furniture will last we only use 18mm board for drawer bases and backs. 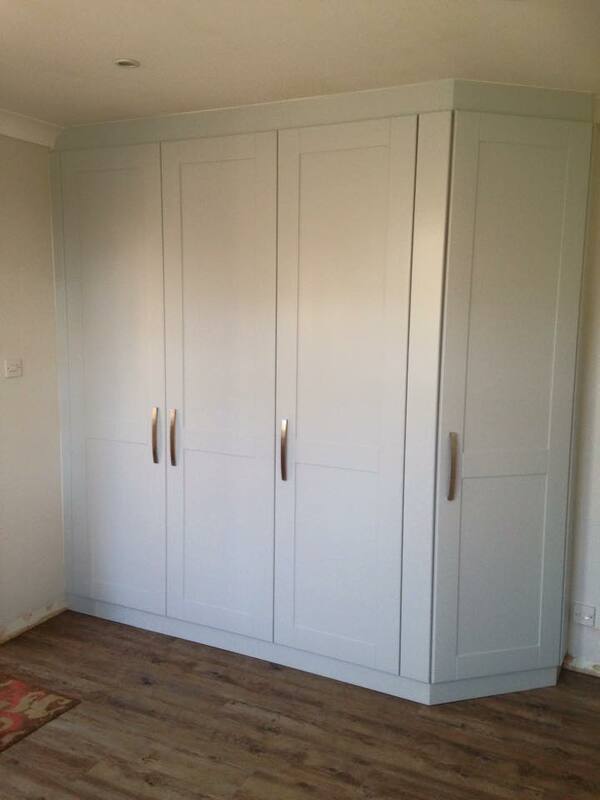 S & K Furniture By Design provides made to measure wardrobes with customary interior storage systems that will suit your lifestyle. 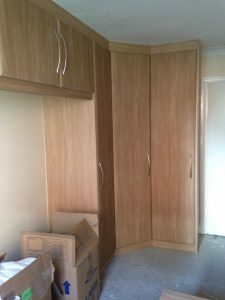 Our experienced designers will be able to suggest which finish would best suit your room or you can choose from our vast range of finishes. 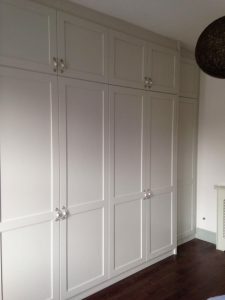 Over time we have noticed that most of our competitors supply only vinyl and melamine faced products to give the impression of wood, we however manufacture real wood veneers and hand painted finishes to any colour you require for a comparable price. 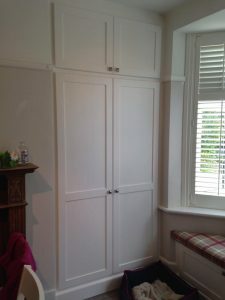 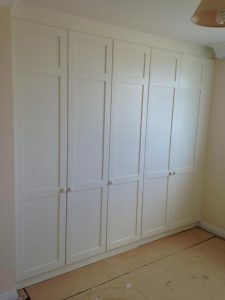 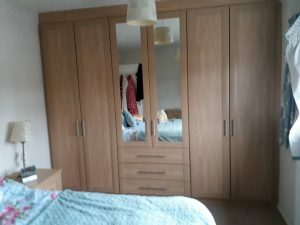 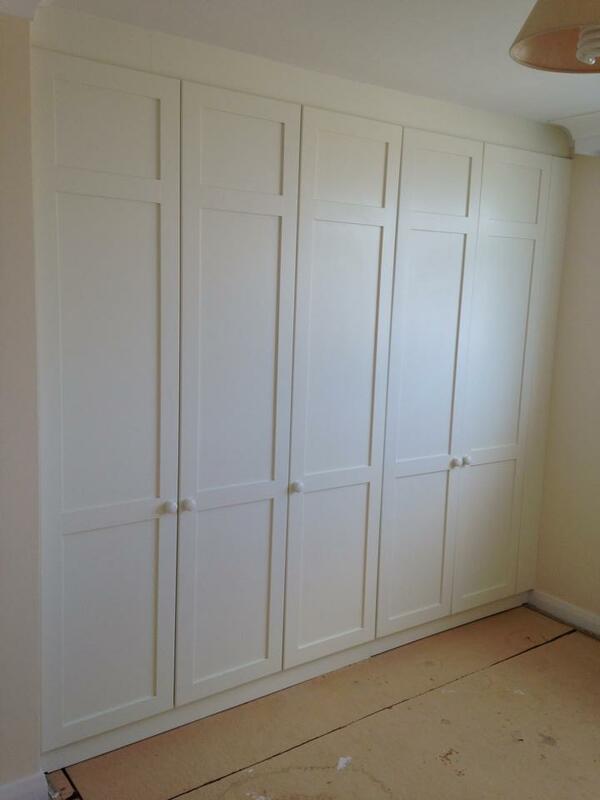 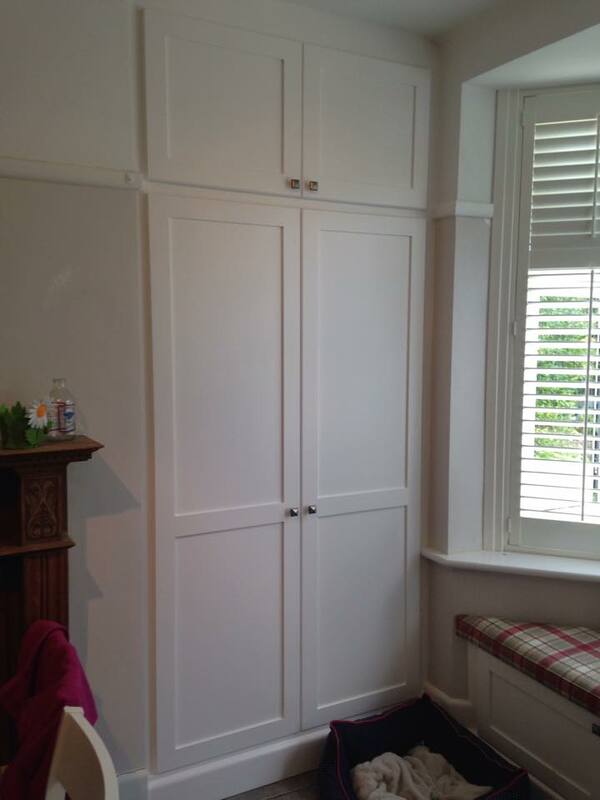 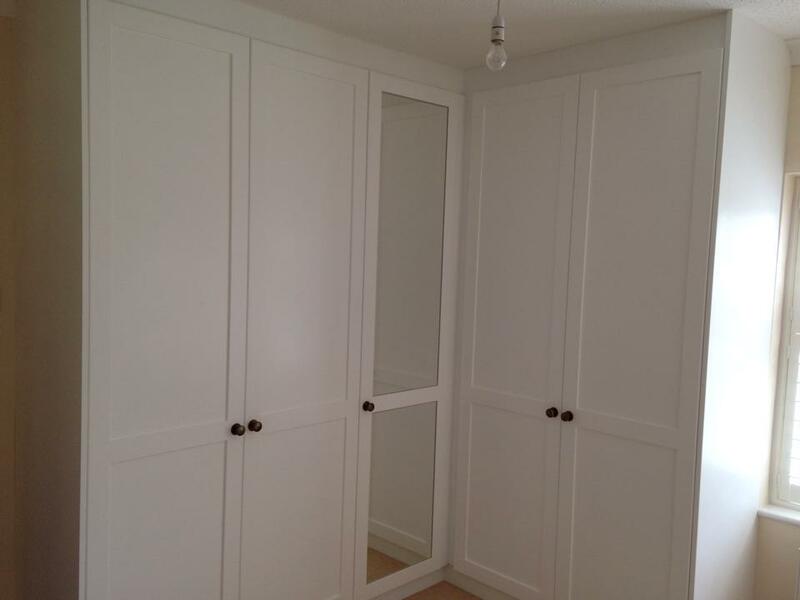 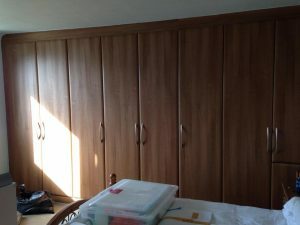 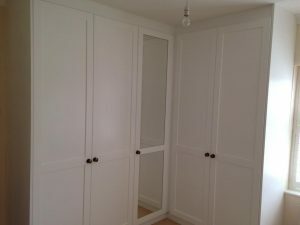 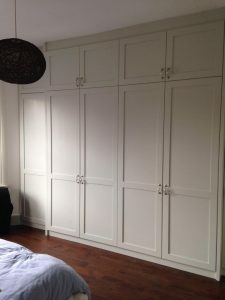 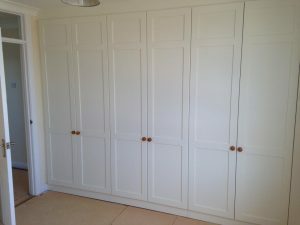 We recently had some wardrobes fitted along an entire wall in the main bedroom and we’ve been absolutely delighted with the whole process from start to finish. 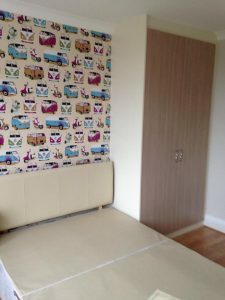 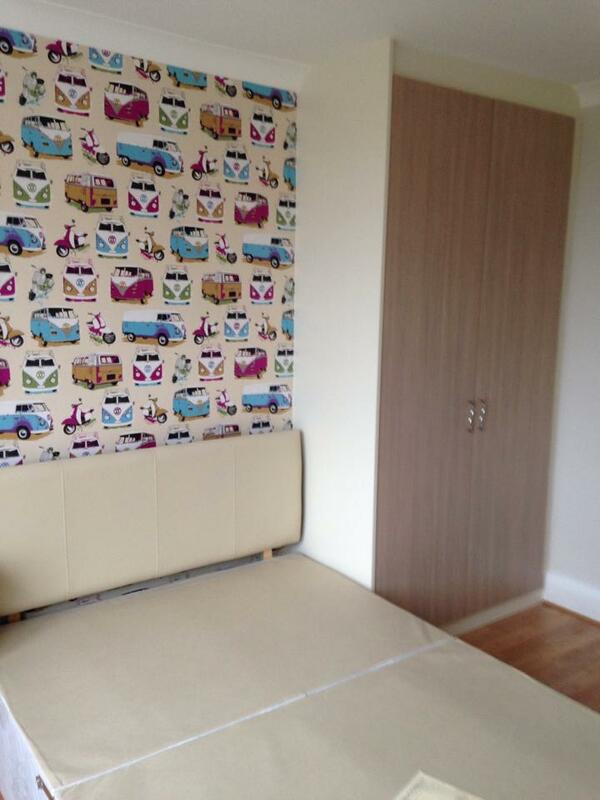 The design and installation are to a very high standard and we wouldn’t hesitate to recommend S & K Furniture By Design. 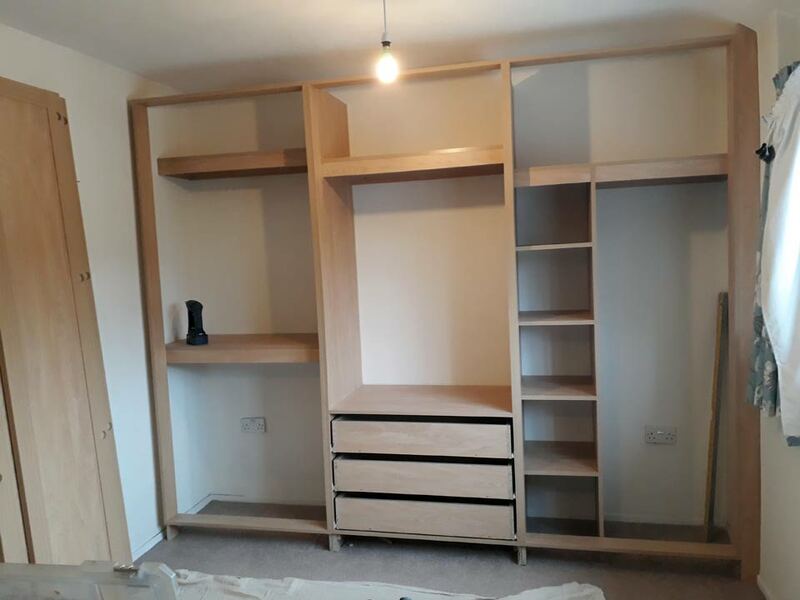 It has been a real pleasure to work with Keith and Mark; they are true professionals and craftsmen and have done an excellent job – thank you! 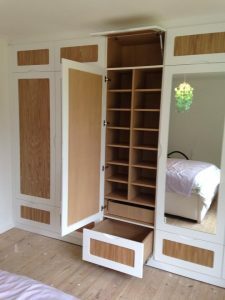 Our experienced furniture designers will work with you on a 1-on-1 basis to guarantee your requirements and design ideas are met. With over 30 years experience we are able to advise/recommend the best finish and layout possible to complement your décor. 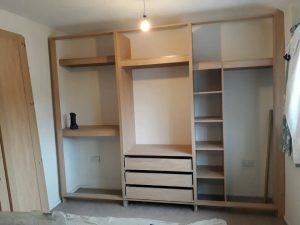 We will personally manage and oversee the job through from start to finish, ensuring continuity and all your requirements and expectations are met. 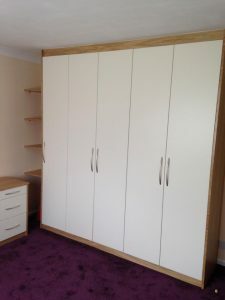 With a 5 year guarantee on all furniture. Your wardrobe is designed to last and withstand even the most fervent shopper. 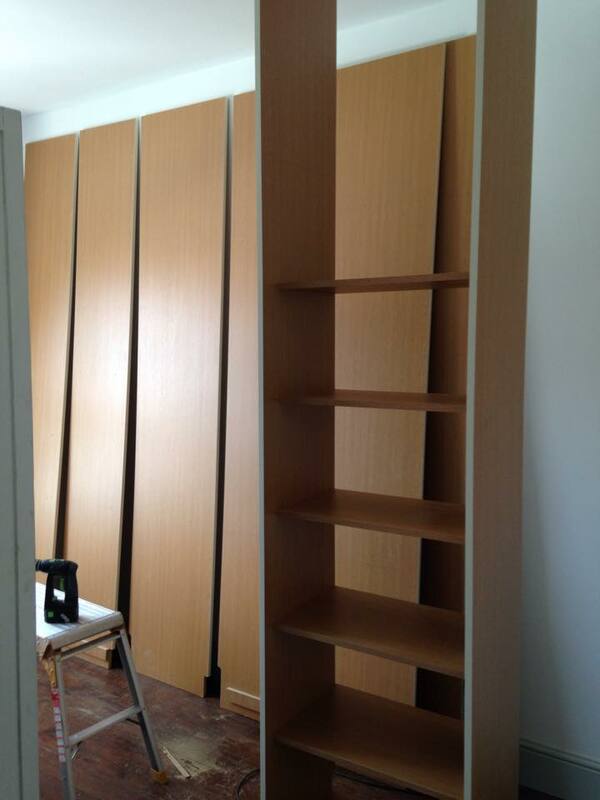 So whether you have a passion for shopping ,or you just want to incorporate a built-in entertainment system. S & K Furniture By Design can deliver the right solution for you. 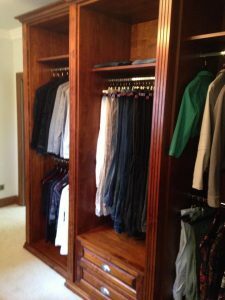 Book your free no obligation design visit today & allow one of our designers to discuss how we can deliver the perfect wardrobe for you.